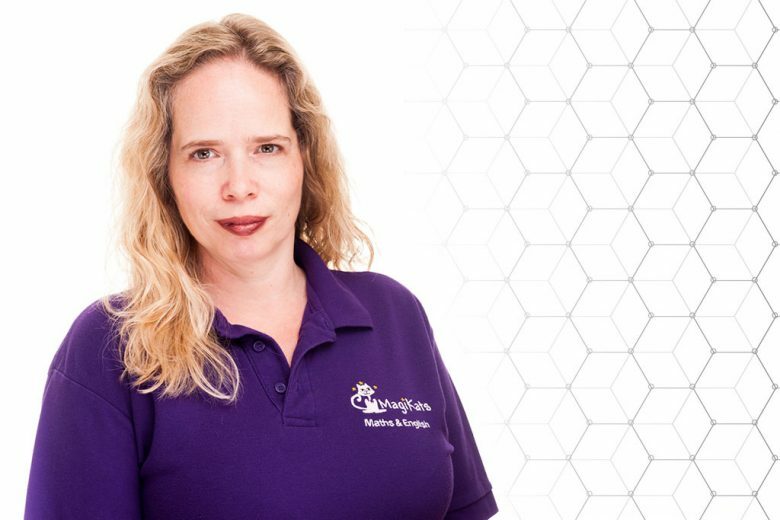 Sarah Marsh has worked in franchises since graduating from university – first as a franchisee, then working for her own family education franchise business, MagiKats. She tells us why she loves franchises, and what makes a great franchisee. Whilst at university, I made the decision that whatever I did, I wanted to be my own boss. As a music student, I did not have many formal lectures and so spent a fair bit of time in temp jobs, which I hated! Seeing how restrictive large companies were, I knew that I wanted my career to have flexibility – and so I started working as a franchisee on graduation. What inspired you to start an education franchise? I didn’t! Jan (my mother) was offering maths and English workshops locally and I was a franchisee for a company that provided after school clubs specialising in developing problem solving skills through games. I was enjoying what I was doing, but Jan was overwhelmed with demand and needed a partner. It didn’t really make sense for her to employ someone, so I left my franchise and joined her. We never intended to become franchisors – we were happy operating locally – but people we knew from the field of education began approaching us to ask if they could use our materials in their local area. The MagiKats franchise was born! What lessons did you learn about running a successful franchise? Until the last few years, it has been more a case of learning what NOT to do. Going from franchisee to franchisor has given me a new respect for the challenges faced by what used to be my ‘bosses’. It’s all about the brand. If the programme on offer is strong, delivered well and consistently – the brand will do well. If the people involved in the programme are articulate, presentable and customer-focused – the brand will do well. If the people on the front line of each local franchise are well supported and keen to work hard to achieve their goals – the brand will do well. Fail at any of these and the brand will fail – then you have no franchise network. What early mistakes did you make, if any? What mistakes didn’t we make at some point! As we rather ‘fell’ into franchising, we never had the chance to create a business plan and refine the business processes. We were too flexible in our approach (having been part of an extremely rigid franchise operation, we were too keen to not do the same). We made assumptions that any teacher or ex-franchisee for education would be a good MagiKats franchisee – and often they were not. You’ve worked for a number of education franchise models. What have you taken from them? One model was very rigid and did not originate in the UK. I learnt that a rigid approach is good – to a point. Once you have experienced franchisees in a network such as ours, it only benefits you to allow them professional respect and let them tweak your processes to suit their local area. ‘Local’ is the key word. On the one hand, you need to understand the needs of children in each local community – but on the other hand realise that kids are kids – wherever they live! Another model was trying to be a premium product without the reputation to warrant the extra cost. It had a strong brand and an excellent model, but was simply too expensive for the end user. The MagiKats model prices our service somewhere towards the top end of the market – we can do that now we have been established for so long – although it is important to us that as many families as possible can afford to take advantage of what we offer. And what qualities do you think a franchisee needs? People often look for a franchise because they don’t feel they have the skills to start their own business. They see a franchise as the easy option – which it is in some ways – but it is still hard work! A good franchisee needs to follow the system and trust those who have created it. They need to put together a pro-active marketing strategy (with the franchisor’s help) and then DO it – not just plan it! Being a franchisee for a business like MagiKats is mostly about sales and marketing in the early days – especially with all the materials that come with the franchise, the teaching side is the easy bit! For me, I see MagiKats as more of a management franchise with a tutoring twist than a teaching franchise. You’re currently Director of Operations for MagiKats. What is MagiKats? MagiKats offers maths and English support to kids from pre-school to GCSE, via out-of-school workshops. In addition to subject skills, MagiKats helps its students to develop thinking skills, problem solving skills and study skills. They attend a weekly workshop where they receive support from a mentor and work as part of a small study group. Each student has an individual programme created just for them – ensuring they get the right support in the right areas. As a franchise, it offers suitable people the opportunity to have a flexible lifestyle, in an environment that really gives that ‘warm’ feeling – after all – who would not be happy when they see a child celebrate things they have achieved? And what does your role involve? As we are a small, family firm, my role is pretty much everything to do with organising the business. What I don’t do any more is work with the children themselves – but I more or less have a hand in everything else! We are all home based and out-source when we need extra support. Over the years, we have built up a great network of other professionals who are experts in their field and that has helped us to delegate – something I am not naturally very good at! MagiKats is a real family business. How do you all work together? It can be a challenge! The downside of family is that you don’t always have the ‘decency filter’ that would, for example, normally stop you arguing with a colleague. We have had to learn that there is work time and family time – although I always feel sorry for my husband at family dinners as the conversation tends to always drift back to MagiKats! Who would make an ideal MagiKats franchisee? How do you balance work with your home life? As I have always worked from home, I have never considered it a novelty. I work core hours – but I will admit that it’s great to be able to pop out to see a friend for coffee if I want without having to ask permission! As a musician, I have a mixture of social life and music life – so I am rarely sitting around evenings and weekends. If I did not have lots to do outside of work I don’t think I would ever leave the home office – so my friends and my music are vitally important. Nobody – I believe that you have to have confidence in yourself and always push yourself to be better. Where would you like to see MagiKats in five years’ time? I would like to build on the solid network we have in the UK, so that our existing centres can have neighbours to work with and so that we can reach new areas. I would also like to see the overseas networks grow, especially in Australia where we have been operating since 2007. Finally, but most importantly, I want to see all our franchisees, wherever they are in the world, happy in their own businesses and promoting the value of MagiKats to all they meet! Want to learn more? You can find out about MagiKats tuition for your children here, and learn more about becoming a MagiKats franchisee here.